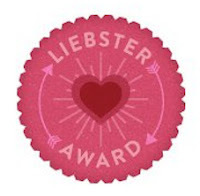 Shawna from Doe Loves Buck nominated me for a Leibter Award! If you don't know what that is, here is the run down: Its a "chain letter" award! If you receive this award, there are a few rules that you must follow..
Each blogger nominated must post 11 things about themselves. Then answer the 11 questions the tagger has asked. Blogger must then create 11 questions of their own to ask the bloggers they decide to nominate. Then they must choose a few bloggers with less than 200 followers to nominate and link them on their blog post! Oh, and there are no tag backs. I've only been sewing for three years. 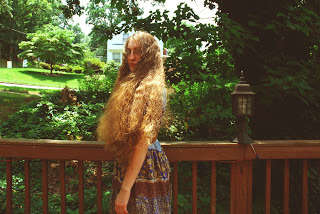 I only use organic products on my hair. No heat, ever. If I could have full reign decorating something, I'd decorate it using all the colors in the rainbow. I have an unhealthy obsession with chunky sweaters! I love silly hats. I own a few....my kitty hat is my favorite! Now I'll answer Shawna's questions! 1. What is your favorite season? Fall! 3. What is your favorite movie line? The world is changed. I feel it in the water. I feel it in the earth. I smell it in the air. Much that once was is lost, for none now live who remember it. It began with the forging of the Great Rings. Three were given to the Elves, immortal, wisest and fairest of all beings. Seven to the Dwarf lords, great miners and craftsmen of the mountain halls. And nine, nine rings were gifted to the race of men, who, above all else, desire power. But they were, all of them, deceived, for another Ring was made. In the land of Mordor, in the fires of Mount Doom, the Dark Lord Sauron forged in secret a master Ring, to control all others. And into this Ring he poured his cruelty, his malice and his will to dominate all life. One Ring to rule them all. 4. Is it Pop, Soda or Coke? No idea. I don't drink any of these. 5. What is your favorite dessert? Cheesecake! 7. If you were on an island, who would you want to be with? Why? My husband. Because I love him and he is resourceful! 8. What color is most of your clothing? Blue and Green! 9. What is one of your favorite quotes? Trust in the Lord with all thine heart; and lean not unto thine own understanding.In all thy ways acknowledge him, and he shall direct thy paths. 10. Which celebrity would play you in a movie about yourself? 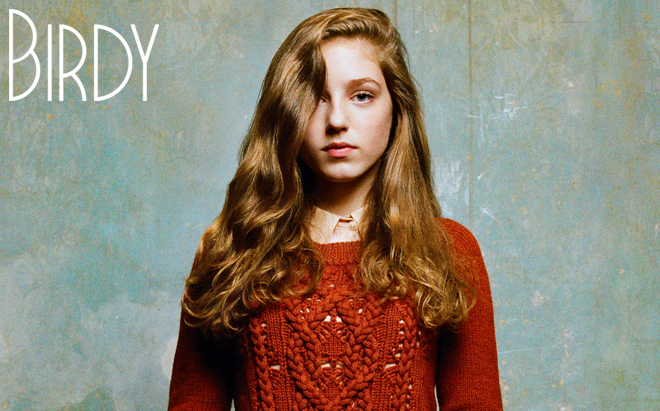 Birdy. Yes, she is a celebrity singer. But I love her. And we slightly look alike. If I've tagged you, here are your questions! When doing a self-photo, do you swear by a Tripod or Remote? Vogue magazine calls. They want to do a photo-shoot with you as a model. What do you say? If people could post a status in a bubble that floats above their head, would you do it? What is one thing you love that you had to give up for health/moral reasons? Something that made you laugh this week. What do you think of clowns? If you had to play a trumpet or a sousaphone for one week, what would it be?